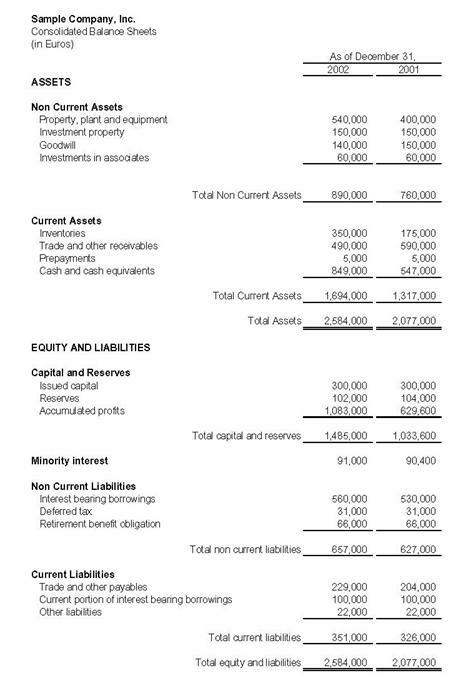 In financial accounting, a balance sheet or statement of financial position is a summary of the financial balances of an individual or organisation, whether it be a sole proprietorship, a business partnership, a corporation, Private limited company or other organization such as Government or not-for-profit entity. Assets, liabilities and ownership equity are listed as of a specific date, such as the end of its financial year. A balance sheet is often described as a "snapshot of a company's financial condition". Of the four basic financial statements, the balance sheet is the only statement which applies to a single point in time of a business' calendar year. ↑ Williams, Jan R.; Susan F. Haka; Mark S. Bettner; Joseph V. Carcello (2008). Financial & Managerial Accounting. McGraw-Hill Irwin. p. 40. ISBN 978-0-07-299650-0. ↑ Daniels, Mortimer (1980). Corporation Financial Statements. New York: New York : Arno Press. pp. 13–14. ISBN 0-405-13514-9. ↑ "US Small Business Administration sample spreadsheet for a small business". Archived from the original on 2007-07-15. Retrieved 2003-08-10. ↑ "Microsoft Corporation balance sheet, June 30, 2004". Microsoft.com. Retrieved 2012-10-04. ↑ "International Business Machines "Global Financing" balance sheet comparing 2003 to 2004". Ibm.com. Retrieved 2012-10-04. ↑ "Balance sheet comparing two year-end balance sheets". Retrieved 2012-10-04. ↑ "Balance sheet comparing two year-end balance sheets". Archived from the original on 2007-10-19. Retrieved 2010-05-08. ↑ "Personal balance sheet structure" (PDF). Archived from the original (PDF) on 2008-03-07. Retrieved 2010-05-08. ↑ "Personal balance sheet structure". Archived from the original on 2007-11-19. Retrieved 2010-05-08. ↑ Epstein, Barry J.; Eva K. Jermakowicz (2007). Interpretation and Application of International Financial Reporting Standards. John Wiley & Sons. p. 931. ISBN 978-0-471-79823-1. 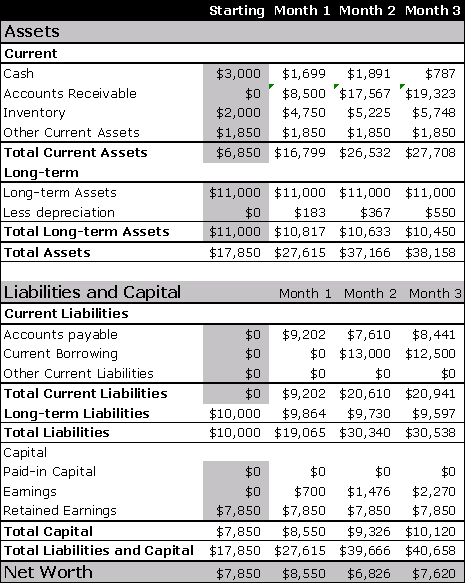 ↑ "IFRS VS GAAP: BALANCE SHEET AND INCOME STATEMENT" (web). Accounting-financial-tax.com.